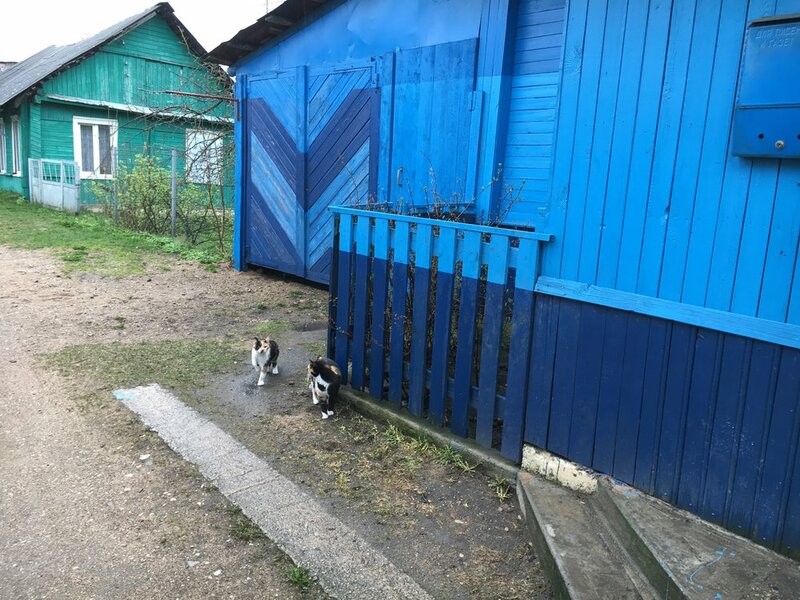 Radoshkovichi, a small town like many others in Belarus, is 20 or so miles outside of Minsk. My Axelrod ancestors called it Radoshkovitz when they lived there starting in the 1830s, if not before. 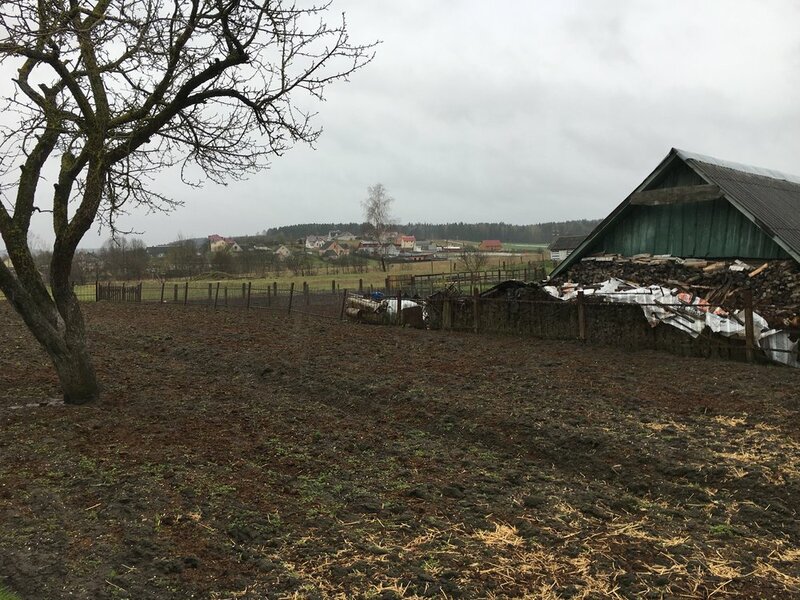 There are still houses that could have been built in the early 1900s but apart from a cemetery there is no trace of the Jewish community that was there from the 16th century to the 1940s. A ceramics factory is the major employer. It’s likely that there were Jewish stores and residences around the marketplace central square. 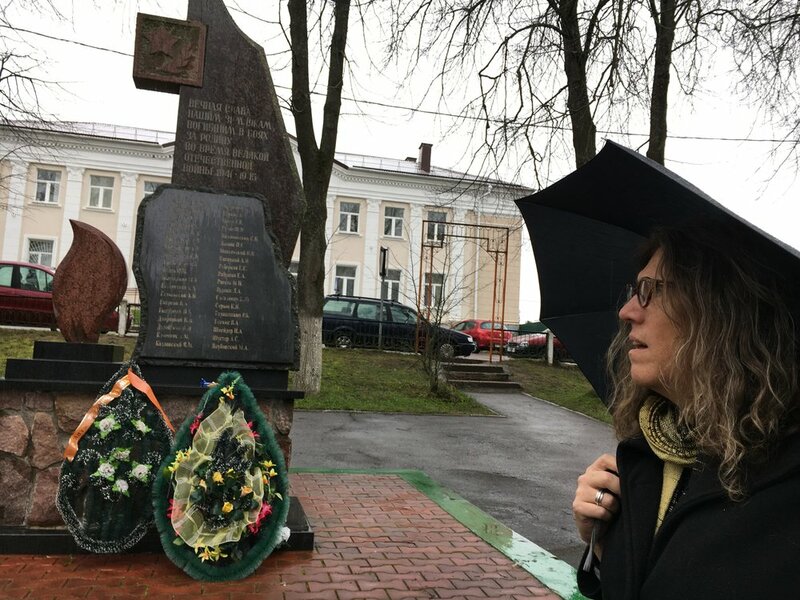 My partner Susan viewing the memorial to local men killed in WWII, a feature found in most Belarusian towns we visited. The ceramics factory. A Roman Catholic church was converted into factory offices during the Soviet era. Many people paint their houses bright colors. Each town used to have its own unique wooden window frames although many have been replaced by standard metal ones. 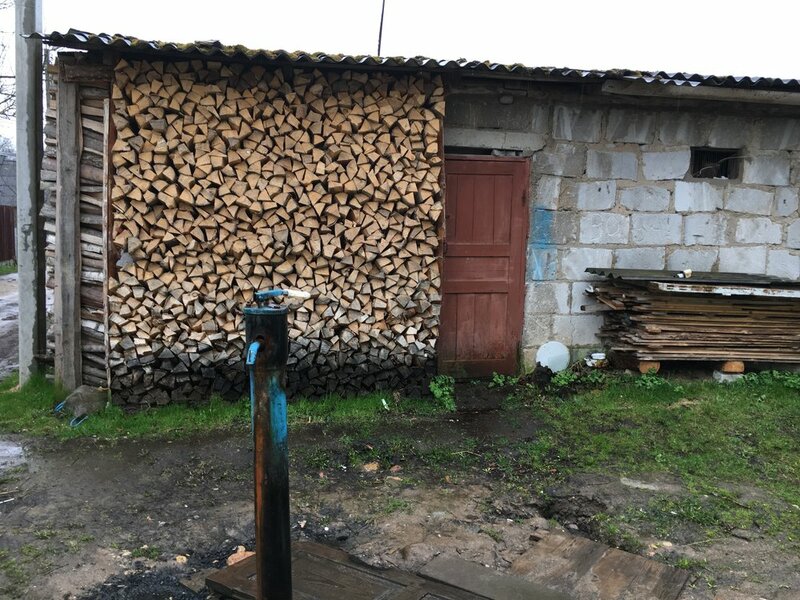 Some people use wood burning stoves to heat their houses and have outdoor pumps but all have electricity and indoor plumbing if they want it. Belarus is very wet and moss grows everywhere. Walking through the town we came across the most amazing house. We peeked through the fence and were invited in by Leonid, who had decorated the house he shares with his sister with an amazing array of colorful animals and flowers that they made out of plastic bottles and other throw-away objects. Although it was May Leonid had not planted his garden because there had been snow the previous week. Many people who live in houses rather than apartments have these types of plots. Most towns of this size have small convenience stores for foods that cannot be grown. We finally reached the Jewish cemetery — it was an odd combination of well-tended graves of people who had died after WWII as well as many scattered, overgrown stones from centuries past. There were also two memorials in the cemetery. 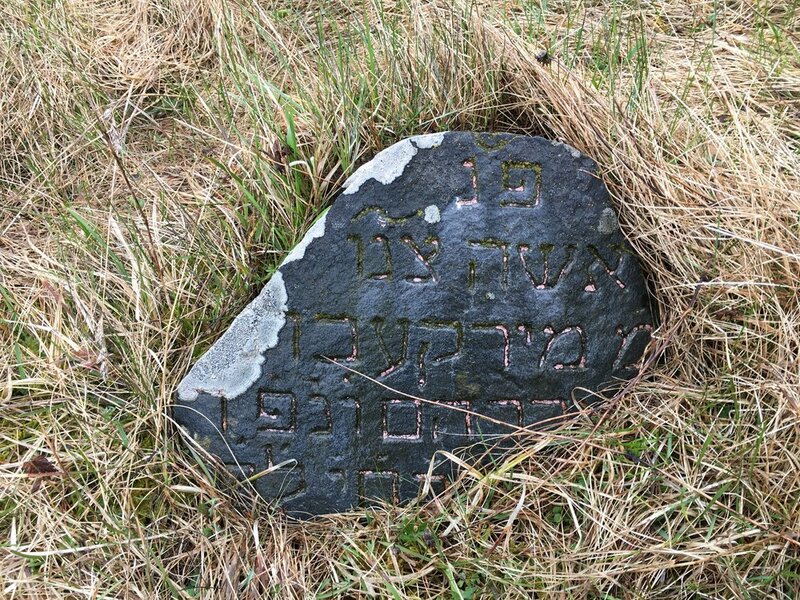 There were about 1200 Jews in Radoshkovitz when the war started. The Germans killed 870 of them in 1942 and rounded up the rest into a ghetto. A year later most of those were killed although a few escaped to the forests to join the partisans. Memorial to the 870 Jews killed here by the Nazis in 1942. This memorializes 340 Jews killed in 1943. The original monument was built in 1947 however it is likely that the Hebrew was added in the post-Soviet era.